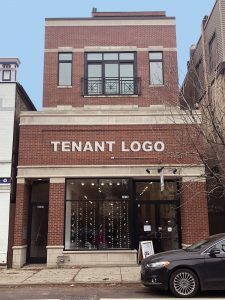 This 2,130 square foot Lincoln Park storefront is available for lease and located in the Halsted and Armitage Boutique Shopping District. The property is a single tenant building with great visibility in a shopping district comprised of approximately 100,000 square feet of national and local boutique retail shopping. Fully built out move-in ready retail space and area tenants include: Pure Barre, Bluemercury, Life Is Good, Club Monaco, Francesca’s, Bedside Manor, Cafe Ba-Ba-Reeba!, Warby Parker, Barry’s Bootcamp.